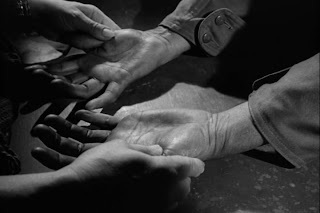 Billy Wilder, John Huston, Alfred Hitchcock, Fritz Lang and Orson Welles are all director’s who made some of the signature film noirs of the 1940’s and 1950’s, while earning enduring reputations as great directors in a variety of genres. 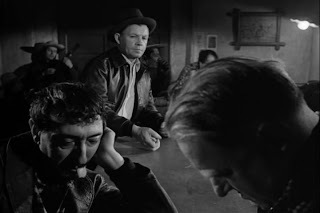 Then there are a handful of names that I mentally associate almost exclusively with film noir, whether fairly or not, such as Otto Preminger and Robert Siodmak. 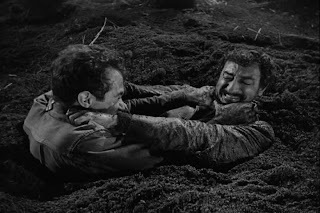 Anthony Mann occupies an interesting state in-between. 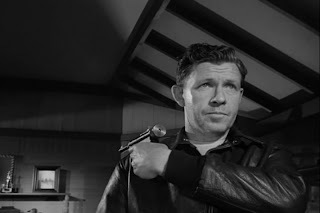 His fame rests on exactly two genres: film noirs and westerns. In not particularly remarkable that Mann made films in both genres, as most directors in the 1940’s and 1950’s were expected to make films in any genre the studio selected. The unique quality was in the way he transitioned, making almost exclusively noirs in the 1940’s and primarily westerns in the 1950’s (he would transition again, this time to sprawling epics, for a notable stint in the 1960’s). In a casual sense, based on the setting and time period, it is easy to draw a clear line between his first and second period, yet it’s Mann’s continuity of style and theme that makes his work so interesting. 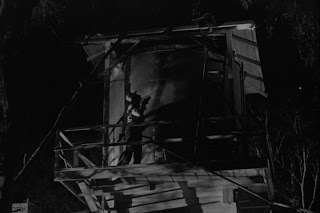 Of course, the term “film noir” wasn’t known during Anthony Mann’s heyday, and its pretty doubtful that directors like Mann considered the type of films they made to be a genre unto itself (modern academics still argue against the term even being applied as a genre, but fans know better), so it’s not hard to see why the line might get blurred between film noir and, say, gangster films, thrillers, mysteries, etc. 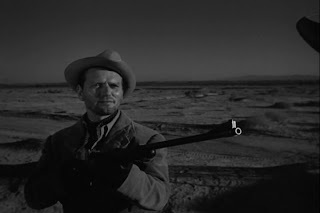 In Mann’s famous westerns (Winchester ’73, Bend in the River, The Naked Spur, The Far Country, The Man from Laramie, The Tin Star, Man of the West), of which I’ve only seen a few, he brought over noir’s dark perspective, moral ambiguity and troubled protagonists. His work provides the bridge into the great revisionist westerns of the 1960’s and 1970’s (which I prefer over the classic period) and helped shaped the state of the genre today. I toyed with tracing some of the noir influences in the director’s early westerns, but I still need to see them all. 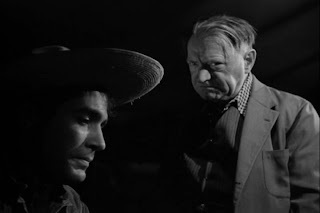 For now I’ll take things from the opposite side of the fence, reviewing one of Mann’s last noirs: “Border Incident” (1949). “Border Incident” is, true to its title, situated near the territorial zone between the two genres. 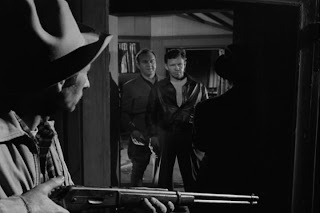 The story, two undercover cops trying to break an illegal immigration racket, unfolds in the noir tradition, but the expressive use of outdoor wastelands, the cowboy hats and sombreros with rugged rurals underneath and the recruitment of rifles to the usual handgun arsenal, hint that Mann’s next phase is just over the horizon. 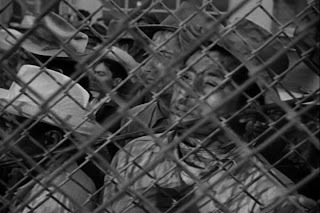 “Border Incident” (1949) opens in a somewhat documentary style, with an impossibly solemn narrator explaining about the need for hardworking migrant labor, while decrying the evil men (American and Mexican alike) that subvert the permit system and smuggle workers into low-paying exploitive positions only to rob and kill them on the return trip. 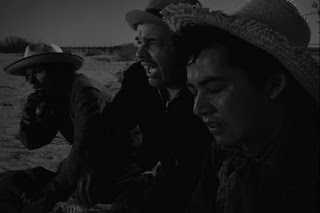 It’s surprisingly progressive in its careful assignment of blame on the corrupt criminals, businessmen and officials that run the human traffic trade and away from the shoulders of the braceros (the Mexican migrant workers), but it’s painfully cheesy in its delivery. The same narrator pipes up at the conclusion, but everything worth watching happens in between. The main action occurs along two lines, both following agents from opposite sides of the border as they adopt criminal identities and insinuate themselves into the system. 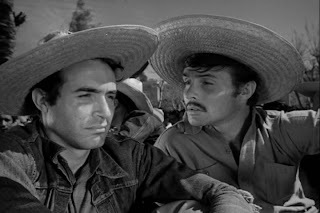 Pablo Rodriguez pays his way into a group of desperate laborers willing to undergo the danger of cover transport into America while Jack Bearnes arranges to meet with the white ringleaders to sell them stolen work permits (which is probably entrapment, but whatever). Mann’s two-pronged approach is a great excuse to keep the action coming and the tension constant. The film has the suspense of a good spy film, with all the quiet sneaking and quick-thinking, the nimble physical and verbal escapes, but with none of the high-tech gadgetry to fall back on in a pinch. Ricardo Montalban and George Murphy are on par as Pablo and Jack, sharing the spotlight and alternating the tension and fear. Though they aren’t particularly interesting alone, their interactions and particularly their undercover personas make them quite watchable (the villains are unquestionably more so). I’ll mention that one of them doesn’t make it to the end of the sting operation, but I won’t spoil which one. The visuals are a real thrill as well, tapping the talents Mann is famous for from both genres. 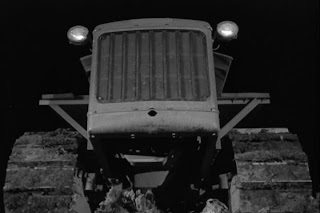 As is often the case in noir, nighttime dominates, swallowing seedy bars and dusty canyons in equal shadow. 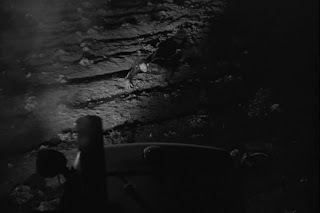 John Alton, Mann’s frequent cinematographer, is more willing than most to dip things into overwhelming blackness (as he would do most famously in “The Big Combo”), often relying on nothing but silhouettes, though never sacrificing clarity to the point of frustration. Out of his burgeoning bag of visual signatures, Mann pulls an amazing touch for finding and developing set pieces. He’d later become famous for the expressive personalities of his western landscapes and the first evidence of this skill can be seen in “Border Incident.” The main setting uses two real-life towns on the California-Mexico border that symbolize their proximity and interconnectedness with their amusing names: Mexicali and Calexico. In the region nearby are more eccentric locales, like a water tower prison and a quicksand ravine. Even an empty field at night takes on a terrifying potential under Mann’s selective lighting and frantic, yet rhythmic, editing. 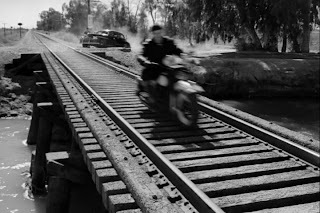 A more subtle example is the use of bridges in several scenes, a reminder of the many connections across borders (Mexico/California, legal/illegal, etc.) that have both productive and destructive implications. 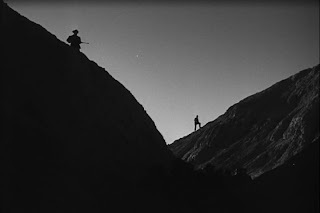 One interesting effect of Anthony Mann shooting on the noir/western borderlands is his use of deep focus and staging in depth. 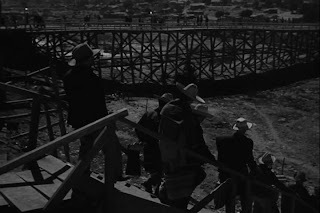 By the mid-1950’s Cinemascope had become de rigueur for westerns and the increased edge-to-edge real-estate reduced the need for layered staging in depth. 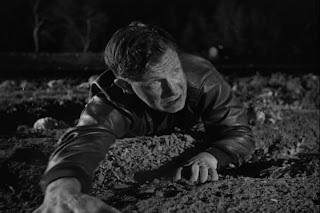 “Border Incident” comes at a time where it can benefit from Mann’s location shooting while still using noirish deep focus effects that would make even Welles and Wyler proud. There’s a lot to like in “Border Incident” in terms of action, suspense and visuals. In addition, it makes for an enlightening glimpse into the director’s key transition period and, in so doing, marks a notable entry point for revisionist westerns and an ancient ancestor of today’s generation of genre re-visitation (2007 certainly saw its share). Situated precariously between his two most famous cycles, “Border Incident” has tended to fall between the cracks of Mann’s career, but it deserves its own recognition.